As a member of the American Society of Farm Managers and Rural Appraisers (ASFMRA), you join a select group of professionals who share your passion for agriculture and the rural landscape – and for helping others understand and capture the value of the land and rural assets. ASFMRA is the only professional society focused on the development and advancement of professionals in agricultural property management, appraisal and consulting. ASFMRA maintains high ethical and educational standards for its members, and, as a result, our members are The Most Trusted Rural Property Professionals. Have a passion and commitment to agriculture and the rural landscape. Are driven to be the best you can be at what you do. Want to distinguish yourself from others in the industry and prepare yourself for advancement in your career. Are just getting started in the business and want to improve your skills. Want to clearly demonstrate your commitment to self-improvement, high ethical standards and professional development. Value relationships with other industry professionals and enjoy networking opportunities to build your business. Would like the opportunity to share your industry on a state and national level. Access to the highest quality Management, Appraisal and Consulting Education at discounted member rates. A competitive advantage in the marketplace with ASFMRA Accreditations, providing you with the differentiation that you need in order to increase your client base and better serve your existing clients. Opportunities for Continuing Education to maintain licensure and/or your designation. Vast network of professionals via the ASFMRA Community and ASFMRA Members. ASFMRA members share comparable sales information and have access to data and expertise that you can’t find via any other society or organization! National, regional and local leadership opportunities through education, conferences, chapters and committees. Membership Directory listing to strengthen industry contacts and gain access to other rural land expertise, including wide distribution to assist you in developing new business leads. Find a Land Expert Listing to provide landowners and potential clients the ability to find you and your expertise. Access to individuals in your area via your National and Chapter membership. Access to The Journal of ASFMRA for information and/or the opportunity to gain acclamation via article publications. Recognition of professional achievement through ASFMRA Awards, including Farm Manager of the Year, Appraiser Professional of the Year, the Early Career Award and more! Representation in Washington, DC – keeping you abreast of issues affecting our industry, working to strengthen your presence on Capitol Hill via lobbying efforts and keeping you informed on industry, law, tax and legislative issues via Weekly AgNews. Monthly newsletter that is a must-have for the individual who owns farmland or plans to buy farmland. Written monthly, this eight-page publication helps you improve your knowledge of trends in land values, cash rents, policy and return of your land investments. Get key moves to protect your rights as a landowner, plus, you will receive insight into practical ways to handle land ownership transfer from one generation to the next. A "must have" resource for both operating farmers and property owners. $259/year subscription – complimentary when you join ASFMRA! The largest online marketplace to discover, buy and sell rural real estate, providing online marketing opportunities and competitive insights. LandsofAmerica connects millions of active buyers and sellers with top search visibility and high-quality traffic online and from mobile devices. LandsofAmerica and Land And Farm offers a number of subscription options for posting listing inventory that are both flexible and affordable and ASFMRA members receive additional incentives when they sign-up! LandsEnd can provide you with ASFMRA logo wear – show off your affiliation and your expertise! Bi-weekly newsletter (26 issues/year) that reveals the latest outlook for agriculture and agribusiness, including timely forecasts of USDA and legislative policy, farm income and price outlook, labor supply and wages, crops, new food processing plans and methods, marketing strategies and more! 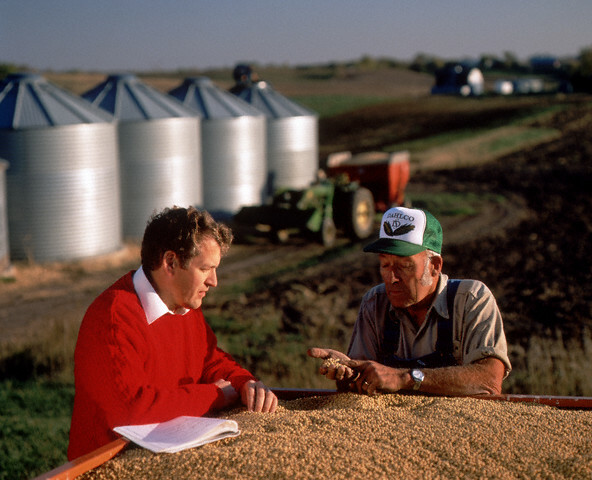 Much more than a publication – it is an agribusiness forecasting service giving you a tremendous advantage over competitors who do not have this insight into what is ahead. $139/year subscription – complimentary when you join ASFMRA! AgWare provides rural appraisers a complete software suite consisting of two separate but integrated products - AgWare DataLog Comparable Sales Database, which can organize, manage and analyze comparable sales and create trend reports, attach and embed documents, images and maps, create composite sales maps, and transfer sales directly into AgWare ClickForms appraisal reports and has file sharing options. AgWare ClickForms: The Appraisal Report Processor, which can create UAAR (Uniform Agricultural Appraisal Report), and UCRR (Uniform Country Residential Report) style reports in a variety of formats. You can use default templates or customize your own as well as add narrative via word processing and create/send PDFS. ASFMRA members receive $150 off for new users on their standard or small business license. Regular pricing for their standard license is $895 – ASFMRA price would be $745. Monthly information-packed articles prepared exclusively for AgReport each month by more than 20 nationally known, contributing writers. An unparalleled scope of leading edge topics includes business and financial management, market price trends, credit and banking relations, legal and tax issues, global outlook, national economics, employee retention, new production niches...etc. $59/month subscription – complimentary when you join ASFMRA! The AgriData team is proud to provide products that empower individuals to achieve their land mapping objectives. They currently offer two products; you can create an account for a complimentary fully functional trial and decide for yourself. Find detailed information about Surety® and Surety® Pro Customized Online Mapping. ASFMRA members receive special rates, depending upon the products that you choose. MapRight, LLC is proud to be a Preferred Partner of ASFMRA and help ASFMRA members meet their land mapping needs. MapRight has very competitively priced software, and for ASFMRA members they are offering National Parcel Pro for only $20 per month. As an ASFMRA member, you can save over 60%! MapRight does offer additional discounts through their corporate pricing model and those discounts are provided on a case by case basis. Please contact Steve Roberson at MapRight, LLC to take advantage of this incredible member benefit! American Society of Farm Managers and Rural Appraisers, Inc.